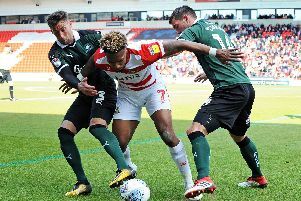 Doncaster Rovers begin a tricky run of away games at Coventry City today – follow all the action right here. Join us on the live blog as Rovers head to the Ricoh Arena hoping to bounce back from Tuesday night’s 1-0 home defeat to Sunderland. Remember to REFRESH regularly for the latest updates.